Man’s best friend just said thank you! Our artificial grass for dogs, is heaven for the pets in your life. The realistic feel and look guarantee it is the only choice in the market. Our unmatched durability is because of our advanced Silverback™ coating on the product. 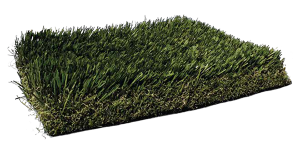 Our pet turf is designed to stand up to the most demanding of pets and the low maintenance features make keeping a beautiful, problem-free lawn easy. Wondering how it drains? Our pureflow technology allows for liquids to freely drain through the surface.Are you looking to save money? Our pet turf delivers right back to your back pocket, no more watering, fertilizing or even harmful pesticides. Pet owners enjoy our turf but pets love it. Change your weekends and enjoy your yard again with no more brown spots or muddy areas.